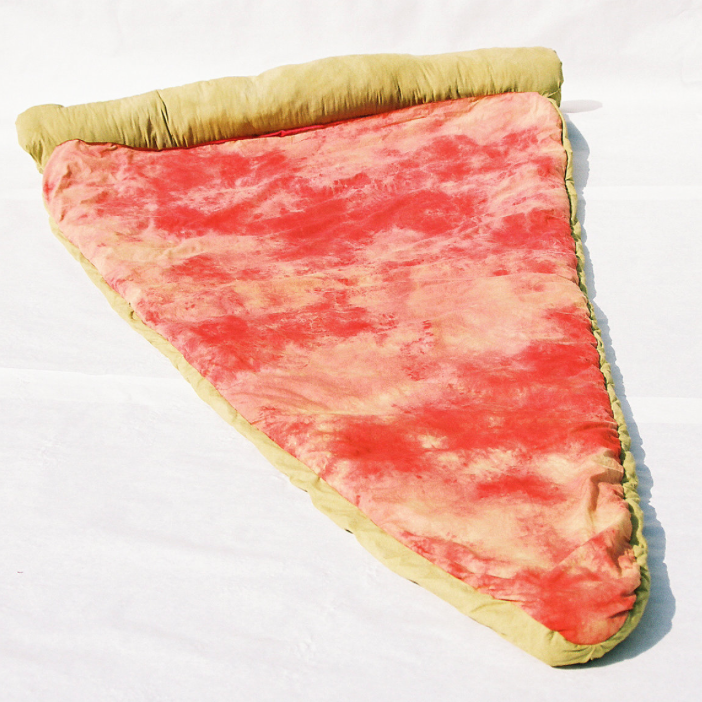 No, this is not just any ole slice of pizza. 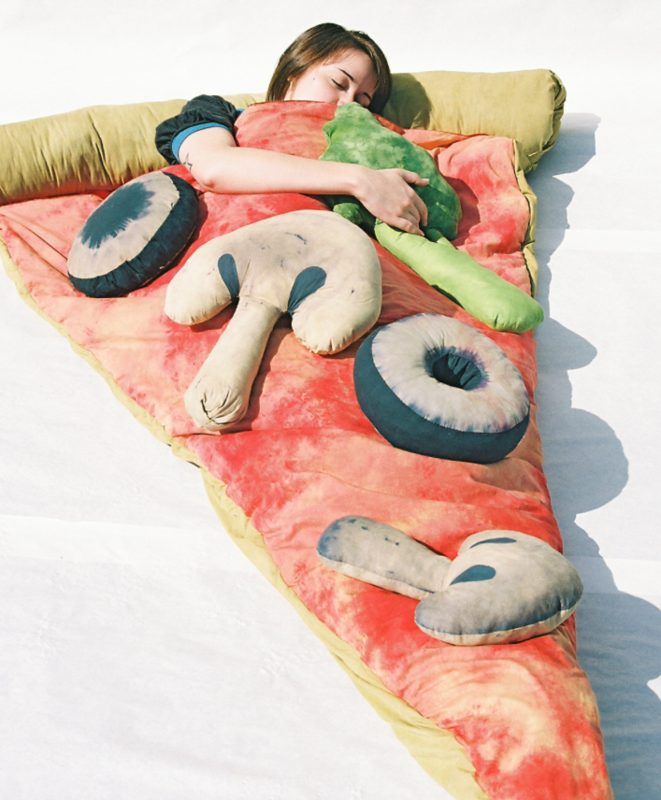 It’s a pizza sleeping bag! Take a look below for more. Yes, the toppings are pillows.